By acquiring the baseball rights to Seattle Seahawks quarterback Russell Wilson, the New York Yankees haven’t made an investment in a future infielder, but rather joined in the spring training / minor league circus to sell tickets that the New York Mets embarked on when they signed Tim Tebow. 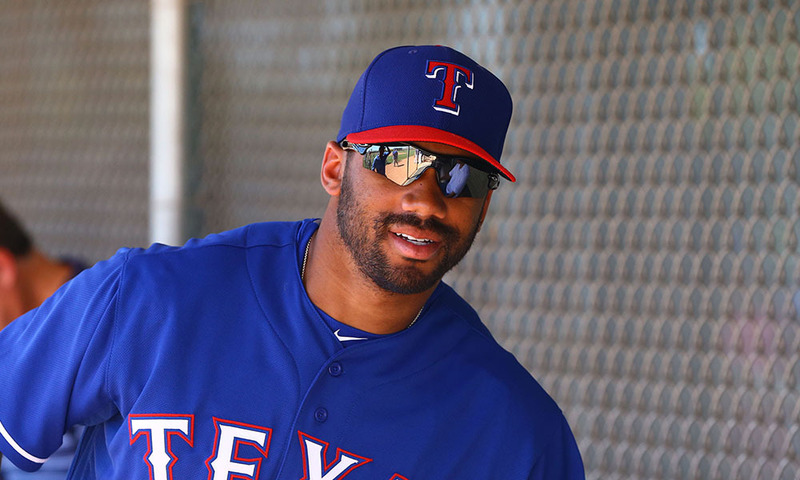 On Russell’s part, he gets to play “fantasy camp” and put on the pinstripes, if only until Seahawks’ camp opens, and fulfill one of his father’s dreams of him playing for the Yankees. If this seems overly cynical, it’s because this move is born of cynicism, just like the media’s hype of this non-story. Just like with the Mets signing of Tebow, the Yankees acquiring Wilson isn’t about baseball. It’s about maximizing gates in small town America and diverting attention from the ice-cold free agent market that has players grumbling of collusion. Wilson, who turned twenty-nine on November 29th, hasn’t played organized baseball since 2011, when he played A ball for the Colorado Rockies’ affiliate in Asheville, North Carolina. As a 22-year-old, he was already six to seven months older than the average player at that level, and he wasn’t all that good. Admittedly showing some patience with 35 walks in 236 PA, Wilson hit .229/.366/.342 in his 61 games. Since then, he’s made some appearances at spring training, most recently for the Texas Rangers who sent him to the Yanks this week and has been pretty good at his other chosen sport – professional football. That Wilson may want to dabble in the nostalgic national pastime, killing some time until the current real national pastime resumes, is fine. It’s his prerogative. And no, he isn’t taking a roster spot from some real prospect, unlike Tebow, because he’s not actually even going to be on a minor league team. He’s eight years removed from actually playing baseball. And, it’s probably ok that the Yankees want to make even more money than they already do by selling a few novelty tickets to a spring training game. After all, this is the sport with a long history of barnstorming and gimmicks like the dwarf, Eddie Gaedel, confounding strike zones at the behest of St. Louis Brown’s GM Bill Veeck back in the 1940’s. But, for the media to treat this move as anything other than wish fulfillment for Wilson, a publicity stunt by the Yankees, and the acquiring of actual baseball talent by the Texas Rangers is absurd. ESPN had the gall to place this story on the main page. Seemingly every outlet in Seattle reported it. And, Twitter went insane. Who wasn’t covering the story? Baseball writers. Fortunately, we are less than a week until real pitchers and real catchers report to real spring training. Real position players will follow soon after. Russ and Timmy will get their share of attention up until the real games start in late March. But, don’t hold your breath waiting to see Tim Tebow in Queens or Russell Wilson in the Bronx. It ain’t happening.